These businesses prepare, stuff, and mount the skins of animals with lifelike effect. We are Alaska's premier Big Game Taxidermy Studio. Over 30 years of experience, with taxidermy and tanning. Specializing in custom trophies, quality work, and client satisfaction. 4-6 month turnaround guaranteed! 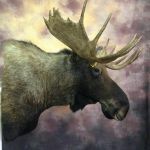 Big Game/Small Mammal Lifesize and Shoulder Mounts, Rugs, Custom Antler/Horn Mounts, Custom Habitats/Bases. Cell:(907)347-8074. Alaska's Real Life Taxidermy specializes in mounting fish. Our highly accurate and realistic work is reflected by the numerous State and National competitions Mark Oslund wins. Quality is our goal. Cell:(907)398-1093 . Your full service Taxidermist does it all! Tanning, Rugs, Fish, Birds, Full body mounts, Head Mounts, Skull bleaching, Antler Mounts. Worldwide expediting of game trophies. We offer 24-hour airport trophy pickup service. We also operate a taxidermy studio so you can export finished mounts if you wish. Bonded & insured. Specializing in birds-only taxidermy. 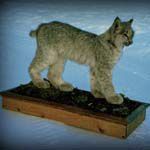 Owned and operated in Alaska by taxidermist Richard Dykema. 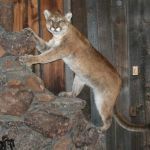 Quality big game taxidermy, instruction, expediting, repair, tanning, airport pickup. Reputable 20-year Alaska resident. Toll Free:(800)478-7358. Trophy Tanning & Taxidermy, Inc.
Fur dressing and Taxidermy. Specialize in North American Big Game. Preparing and Expediting trophies.